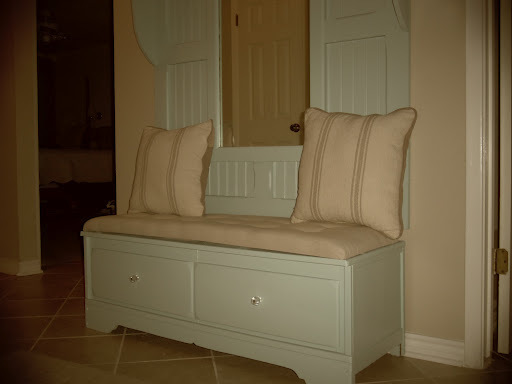 My mudroom bench started life as a dresser. I found it on the side of the road waiting for heavy trash pick up. It was a mess! 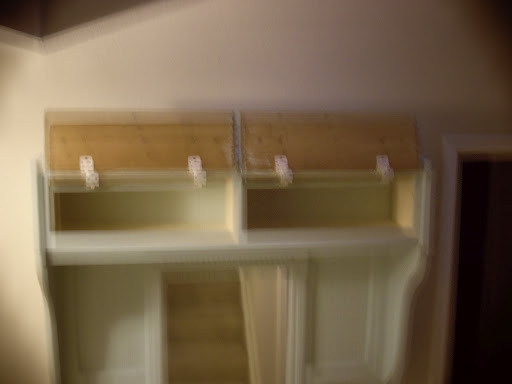 The top was in pieces and two drawers were broken. 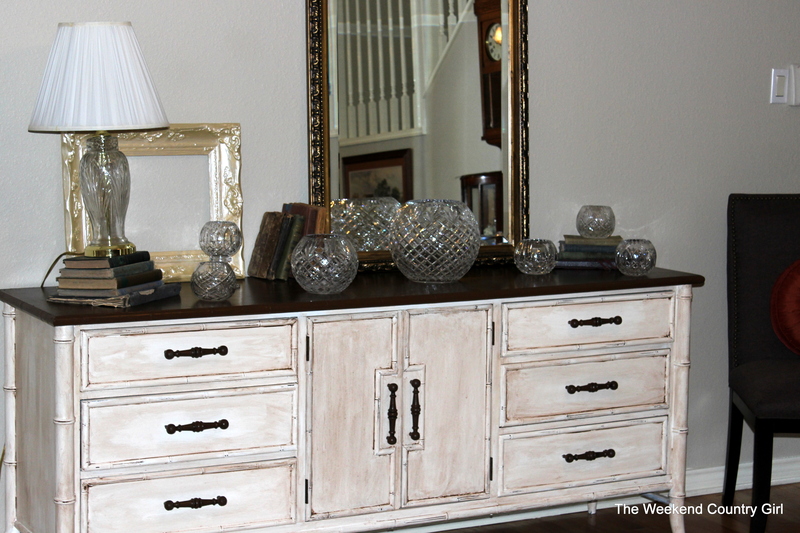 In spite of the shape that the dresser was in, it was solid wood and had dove tailed drawers. It was late at night and we were headed home from visiting friends. I had to beg Hubby to stop, back up and get out to look at the dresser. He was less than impressed with this one. Here it is with one of the working drawers out. The top has a split all the way down the length. 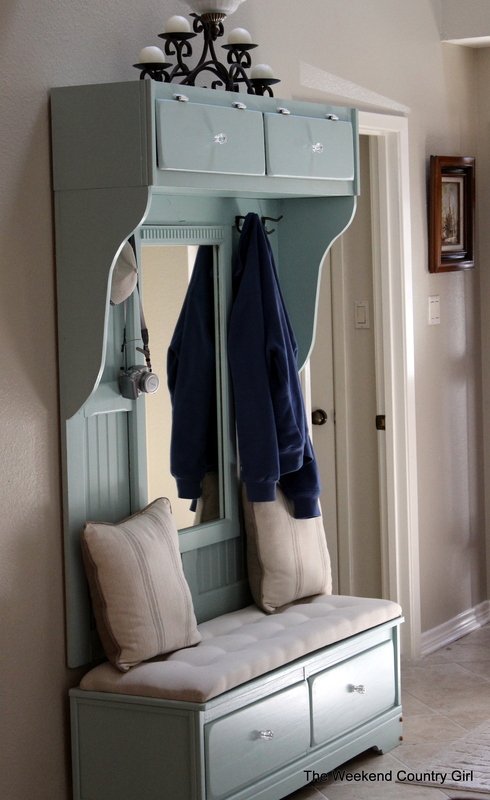 After staring at it a few weeks, I decided to turn it into a piece for our entryway that could serve as a sort of mudroom. 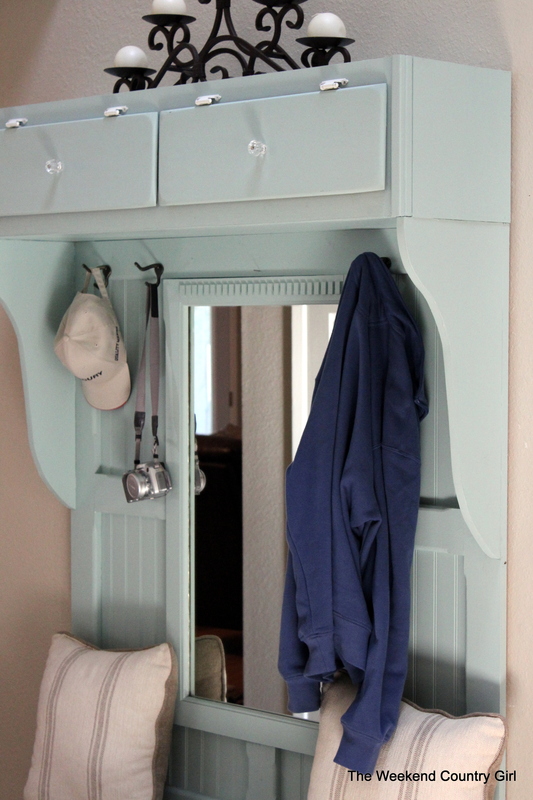 A place to take off shoes, hang jackets and hats and hide junk…I mean Hubby’s treasures. 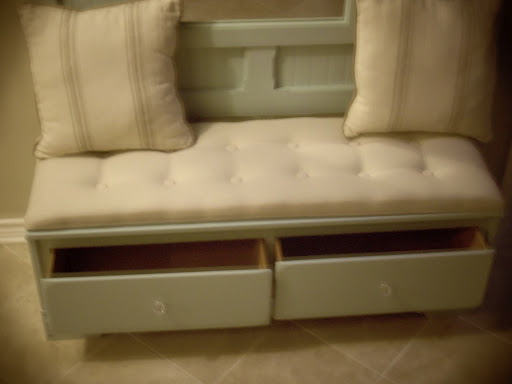 First, We removed the top two rows of drawers from the dresser and created a bench by adding a plywood top. 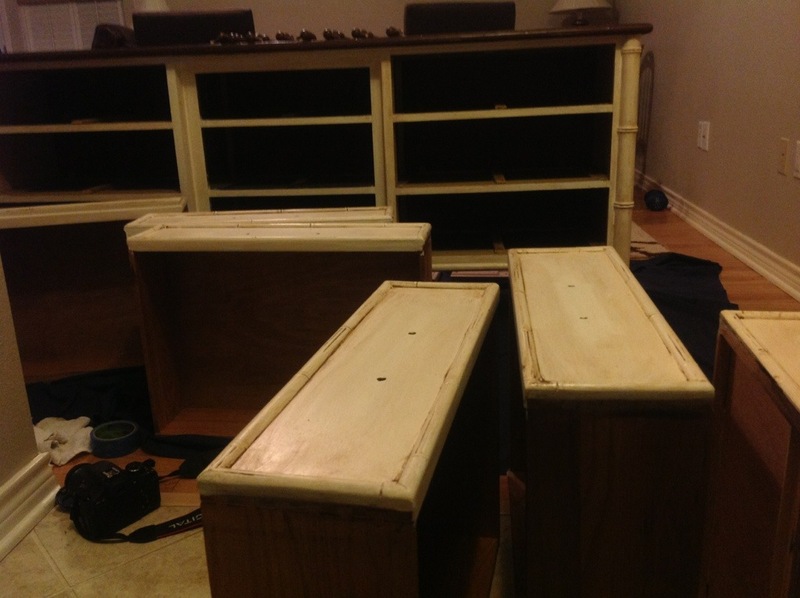 Next, we created a separate top piece from the two remaining solid drawer fronts. 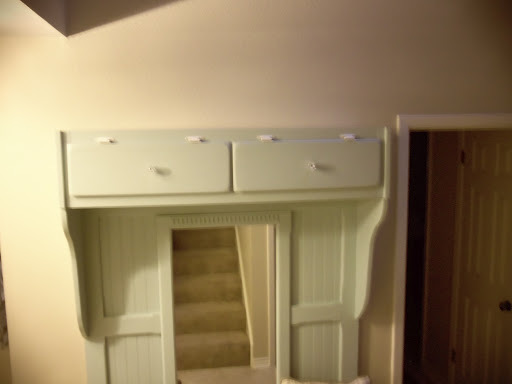 Because of the height, we had them open on hinges. We could not have used it if it were drawers. A sheet of beadboard paneling, 2X4’s, and a plywood box. 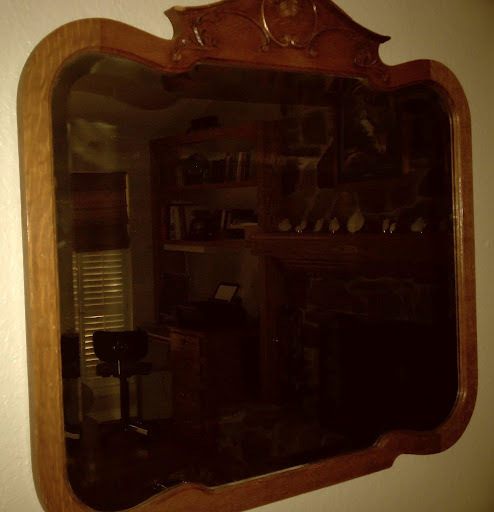 The mirror was a thrift store find. Hubby chopped the top off the mirror frame and routed the 2X4’s so that they matched the mirror. We reused the top in a later piece. 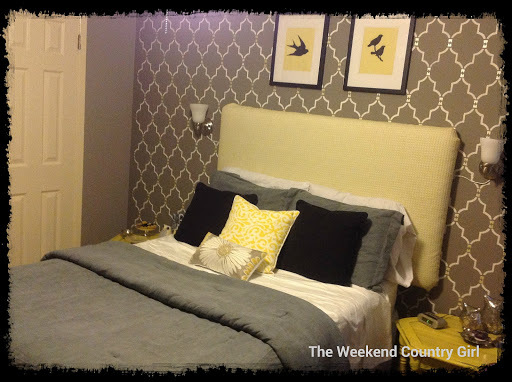 Then, Hubby created a board and batten over bead board back to connect the piece visually. 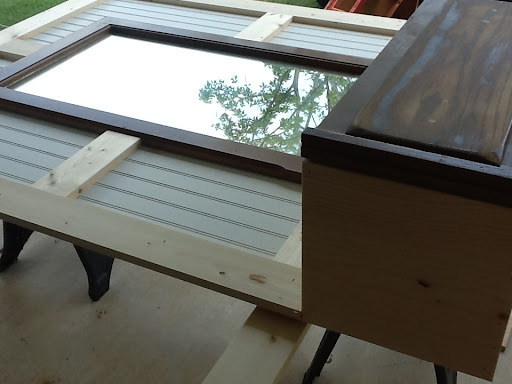 The bead board and top are connected together, but they float over the bench. Sneaky huh? This allows easy installation and access to electrical without cutting holes in the wood. You never know where it will live next! All the hooks were installed last because I wasn’t sure what I wanted. In the end I went with plain hooks because they worked for the piece. 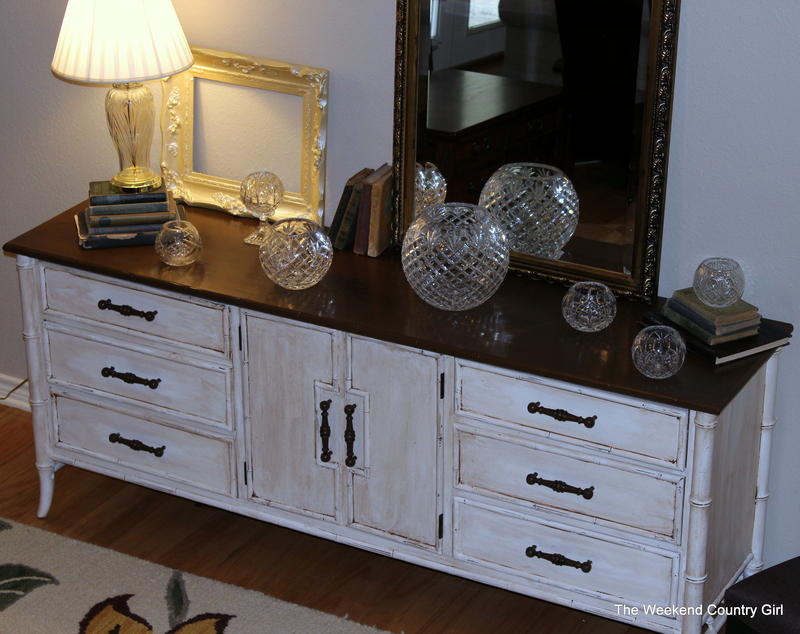 Finally, we painted, added crystal knobs and made a tufted cushion. I love the soft green color! This is by far the most unique piece of furniture in our home and is a great conversation piece. Here it what it looked like the morning that I wrote this blog. I did not do anything so that you can see how we really live. This is the best shot I have taken of the bench. Now I wish I had removed Hubby’s hat, camera, and jacket! I have wanted to write this blog for a while. I go to craft shows, shops and our local trade days where I sometimes hear shoppers commenting on the cost. “I could do that.” is frequently heard as well as comments about prices. Now you know that I am always looking for a deal! And by deal I mean a steal. 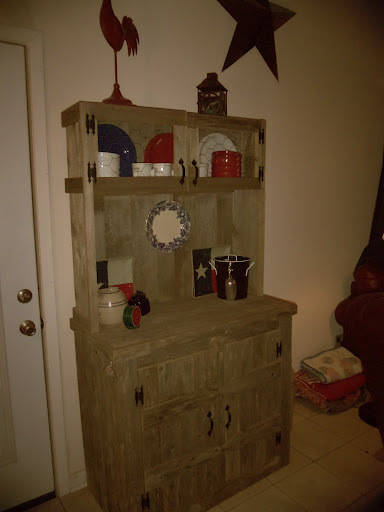 I love to find furniture, cheap or preferably free, then repurpose the piece into something unique. It is my hobby, and I am not trying to live off selling my goods. We would STARVE! 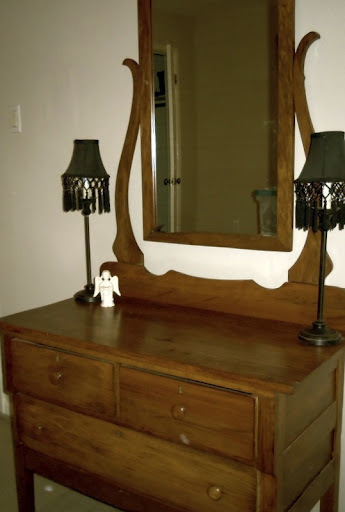 I always try to let you know the cost, which is usually less than a brand new piece would be, but I think that there is a misconception from time to time about the real cost of repurposing the furniture. 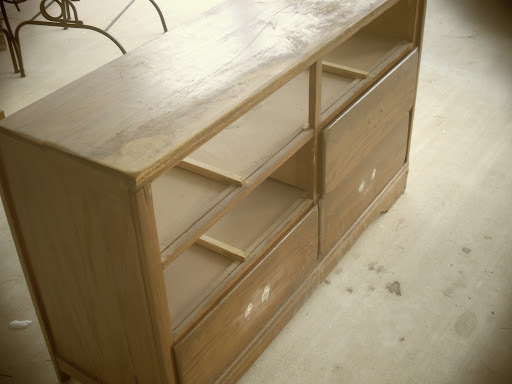 Right now I am redoing a piece of furniture I literally picked up on the side of the road. 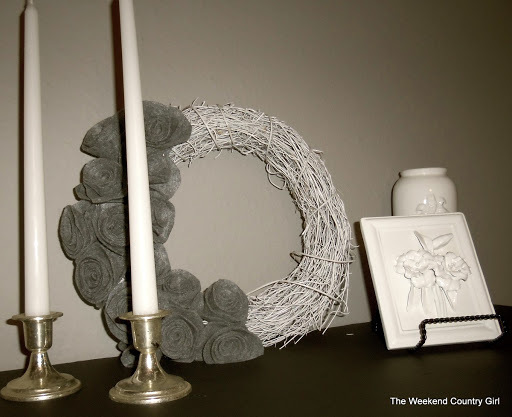 The cost for the furniture – ZERO DOLLARS AND ZERO CENTS. 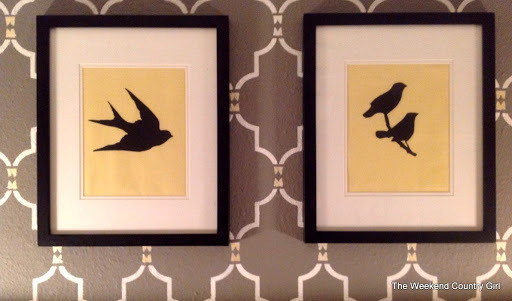 In order to get the piece repurposed I decided to buy everything new for this project. I needed to replenish supplies anyway and sometimes even I forget that this is a hobby and the supplies are expensive because I only buy things as I run out. The costs are rounded- because I am lazy! Hours spent on the project- 1 hour checking it out, calling Hubby, getting the beast into the vehicle, out of the vehicle and home. 3 hours sanding. 4 hours priming, re sanding, then priming again. 4 hours painting the creamy white color. 1 hour painting handles. 1 hour painting the top. 1 hour glazing. 3 hours polyurethaning the whole thing. Oh! This does not include dry time, moving time and reassembly. So all in all we have close to $80.00 in supplies and the equivalent of one hard weekend’s worth of time invested. In a free piece of furniture! The next time you see someone’s work online, in a shop, or at a vendor’s booth and you say to yourself… ” I could do that WAAAY cheaper, the truth is provided you find the right piece, you might could save a little money doing it yourself but it won’t be as cheap or easy as you may initially believe and your time is worth something. If you are in a shop when you see this piece also figure in overhead costs. 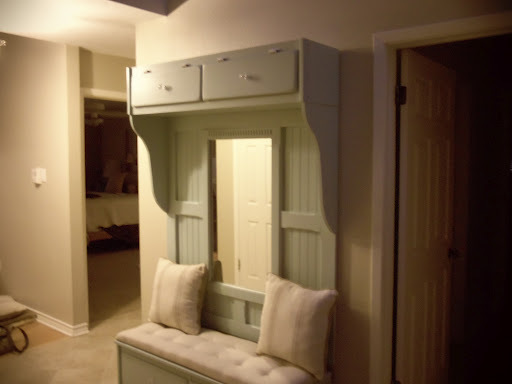 It is a lot of work to re-purpose furniture, but it is ever so worth the effort! I love the satisfaction of doing a good job and bringing something back to life. 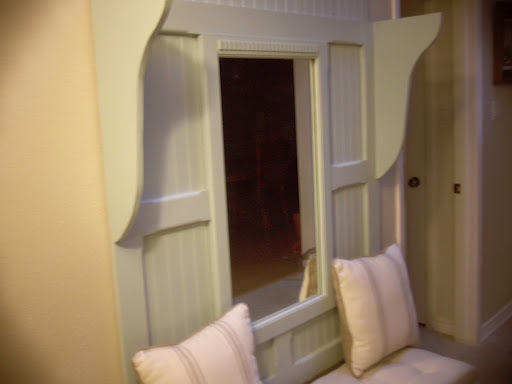 Recently my social planner, Tanis, picked up two old windows that were in a trash pile where a home was being renovated. They were already the perfect shade of red on one side and had just the right amount of peeling paint. 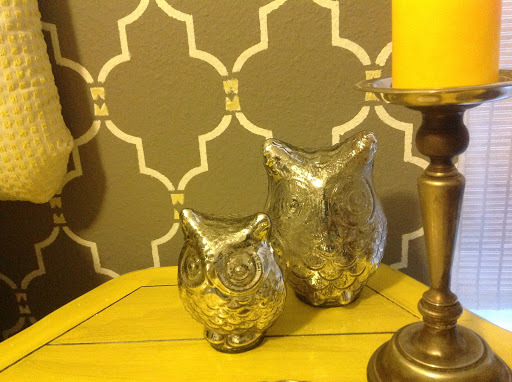 I loved them and I know that they are going to look great at her new home, The Rockin F Ranchito, in Coldspring. One of the frames wil be a hat rack with an adhesive Rocking F Logo on the glass and the other will be a menu board for the kitchen. 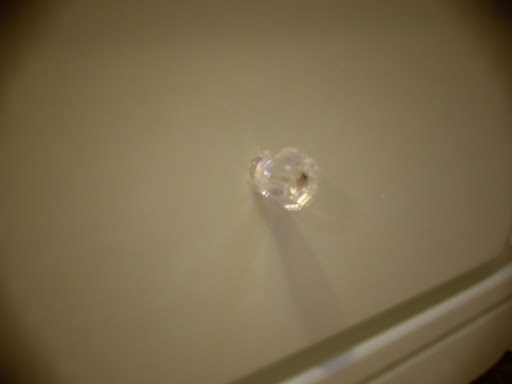 The glass is removed from this one. 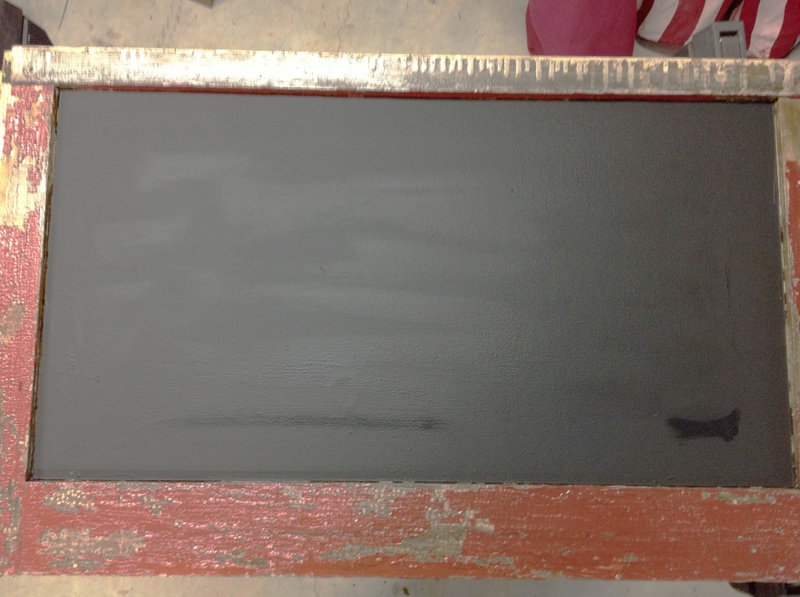 Tanis painted both sides of the frame with polyacrylic to seal in the paint should it have lead. 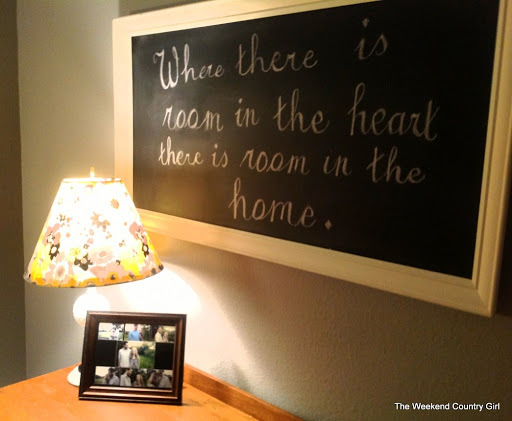 Here is the finished product after Hubby put in hard board and we painted several coats of chalkboard paint. Finally. 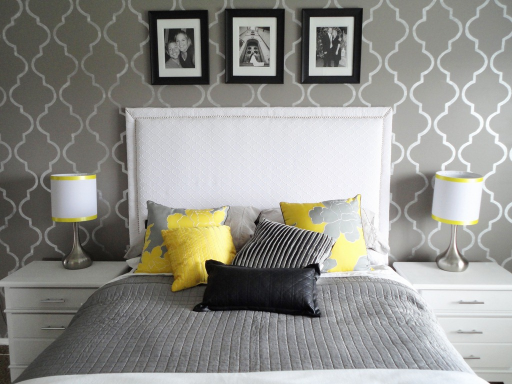 Last night we put the finishing touches on the guest room. I hope you like what we did. 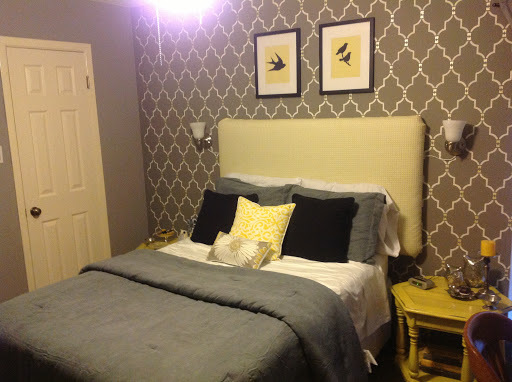 Here are pictures of the finished room. Final cost $154.63 Click on all the hyperlinks below to go to the projects that we got accomplished. 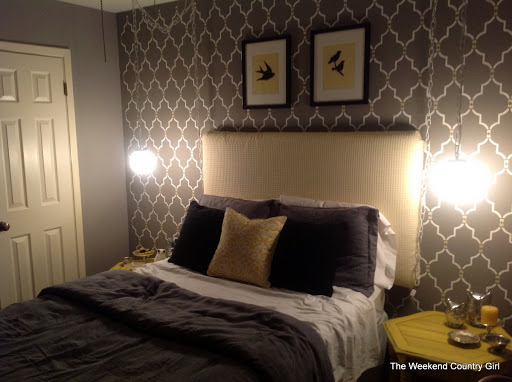 One day I am going to actually hit my cost goal, but this is not too bad for a great guest room. You will see that I added a cute pillow to the bed. I love the color and graphic. I got it on Etsy. 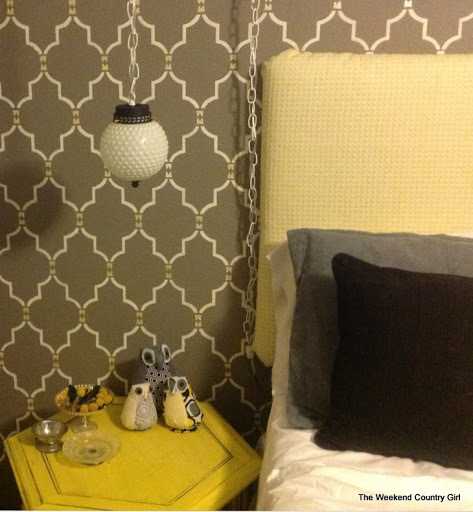 The lamps make me happier than the globe lights. I love them but the chain was too busy for the wall. 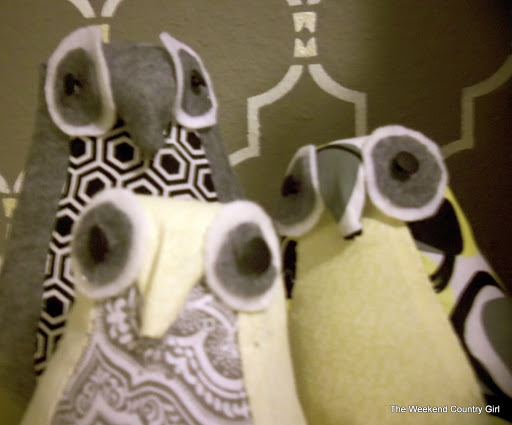 I am giving them to Sweet Amanda for the lovebird room. Remember that it all started with a end table I picked up on the side of the road. I started looking for inspiration to get the table painted. Then it hit me. I had a whole room needing love. 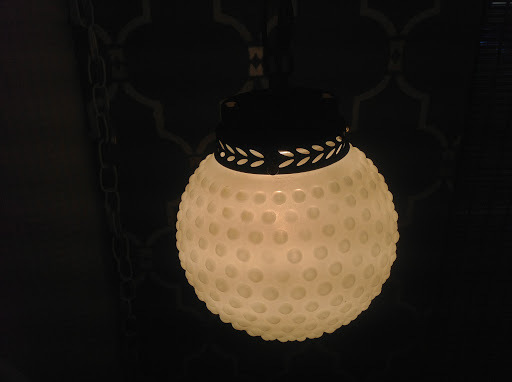 I thrifted a milk glass lamp then made the shade. 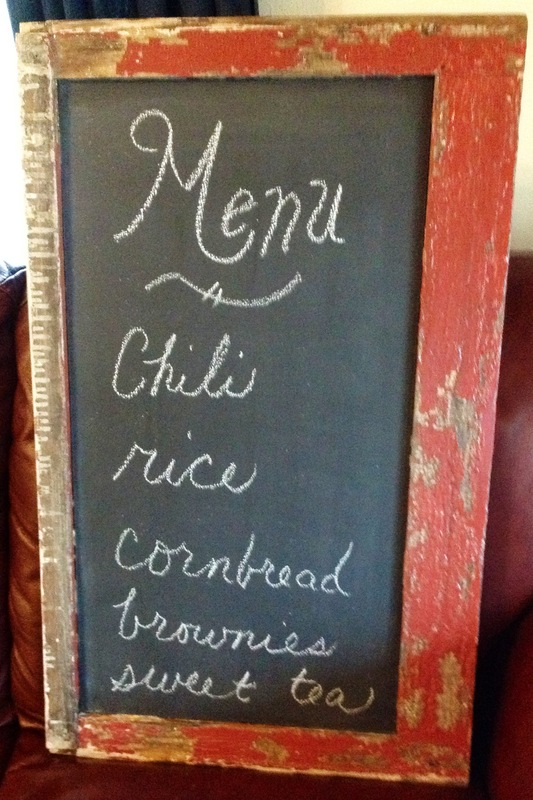 I thifted and crafted this chalkboard. I used a lot of my finds to create a mirror wall. More thifted and crafted items. 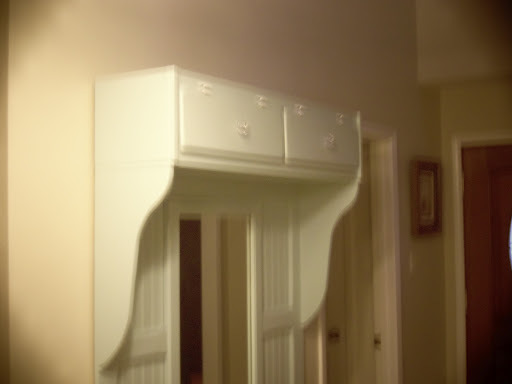 A reused armoire is going to be my craft cabinet. But I did not love them in this room. I like this one so much better. 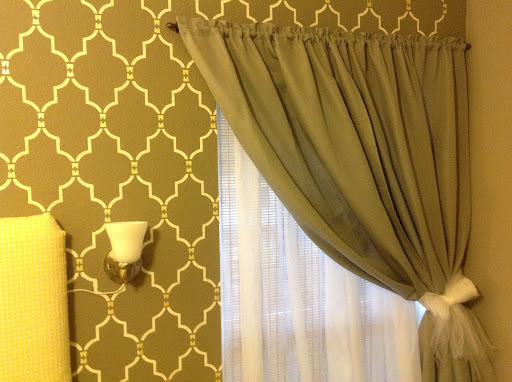 I found some curtains I can live with. I hope you like the room. We are proud of our hard work. WE LOVE IT! Now bring on the guests. I overshot my estimate of $150.00 but not by much. I really do love the finished project. I hope that you think it is worth the time and effort. Come see it in our entry way. We worked really hard and want to show off all the work. Here are some shots of the finished project. I hope you enjoy. 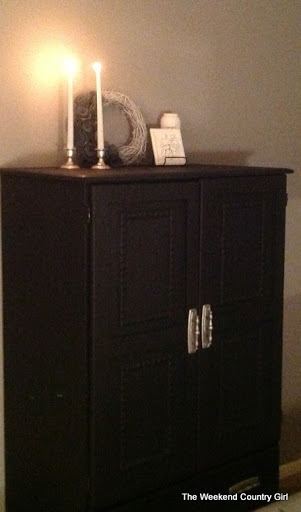 The old dresser that was bound for the landfill sure looks good. Married Son thinks that the color is like melted lime sherbet. I think it is very restful. 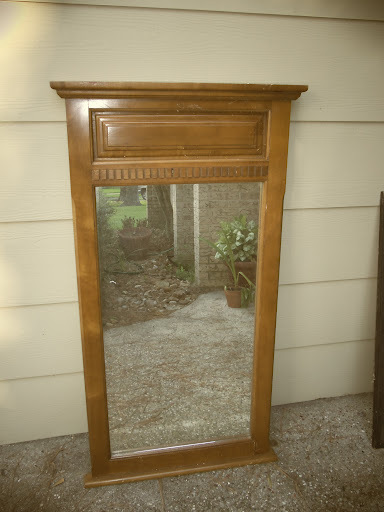 The mirror before the top was put on. It looks so pretty. The pillows are some that I had. They are going to work great. 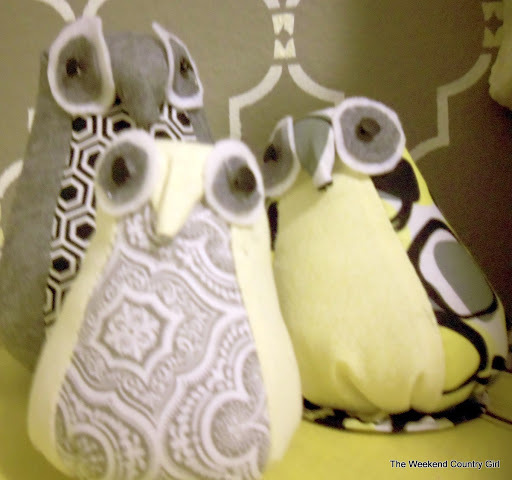 I planned on making some and still will, but these look like they were made for the bench. The cabinet hinges came from our kitchen. When we installed new cabinets I saved everything. It sure has come in handy. What it looks like coming down the stairs. I am going to decorate the top for fall. Shoes and dog leashes go here. We still need coat hooks but I have not found the ones I want. A friend of mine made fun of me this week for how I talk about furniture. I say things like “It has good bones.” That means that under all the ugly I think there is something better that will hold up to the abuse my family can put it through. I also talk a lot about the age of the furniture. I have to be honest here. I can spot four types of furniture. Midcentury, mission, art deco, and 70’s. 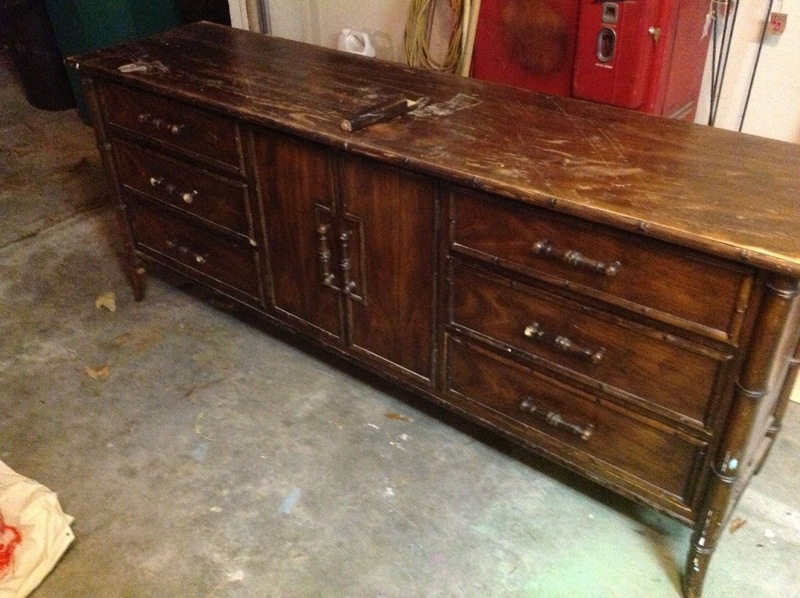 I cannot tell 20’s, 30’s or 40’s furniture apart. Any furniture older tan the 20’s you could tell me it was built in 1700 and I would believe you. I know it is old, but I just don’t have a frame of reference. Most of the time When looking at furniture I either like the way something looks or I don’t. I feel like I need to let you know that I respect good, quality furniture. There are several pieces at my house that will never be painted, modified, retouched, or repurposed by me. 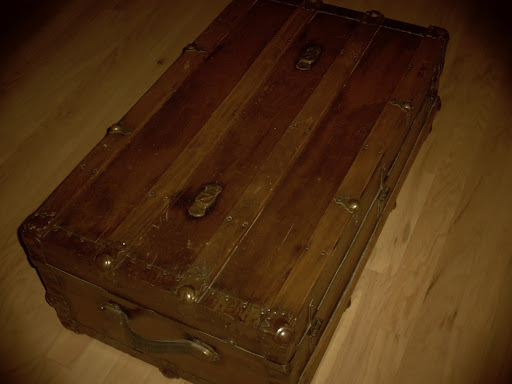 The first is this old chest. I bought it 15 years ago at a Christmas Bazaar held each year in the city where I live. I love it just as it is. 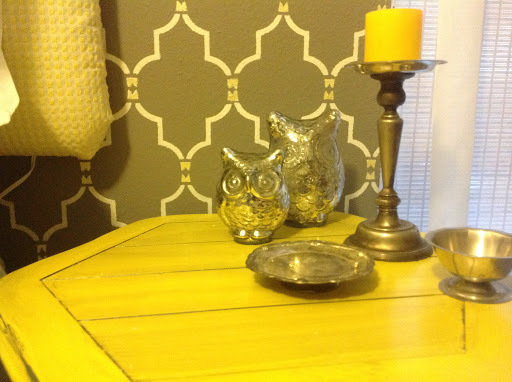 It serves as a coffee table, junk storage and it makes me happy. Another thing I won’t mess with is our mirror. Remember I have a thing for mirrors, but this one above all the rest. We bought this when we really didn’t have any money years ago. I was so proud to have it. It has been in 7 of the 8 homes we have lived in. The final piece I am going to show you that I will not violate is a very special family piece. It was the first piece of furniture my extremely poor grandparents bought when they got married. 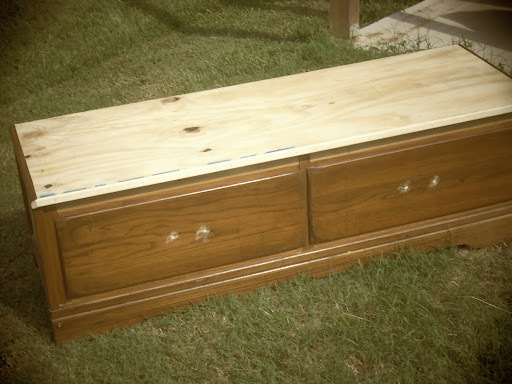 It is a simple two drawer dresser. It would have been the equivalent of Ikea furniture 75 years ago. All the parts are out of different types of wood and there never was any ornamentation. My dad rescued it out of an old storage shed when my grandmother passed away. It was being used to hold tools and such. It was completely falling apart. For my birthday several years ago my husband had the six layers of paint stripped off the piece professionally. The stripping caused the entire piece to fall apart. It looked like an erector set set when he brought it home. 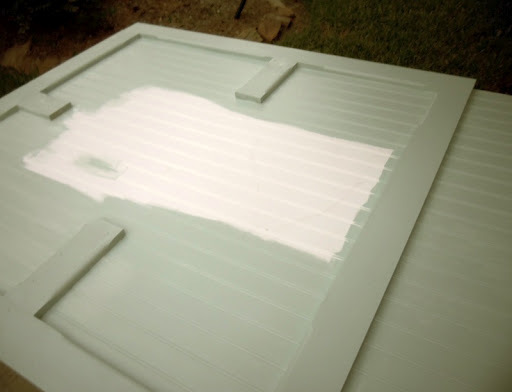 He took every part and laid it out on the garage floor then painstakingly reassembled the piece, then stained and varnished. I treasure it. 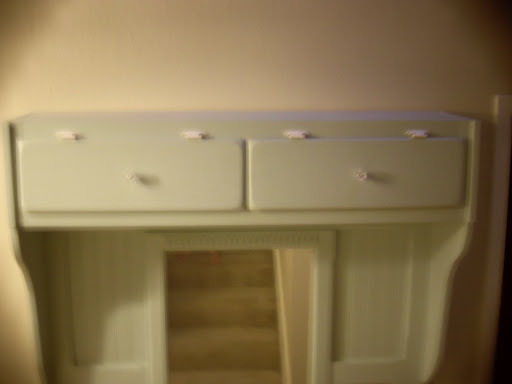 I will never claim to be an expert at furniture finishing. I learn new things every time that I work on a piece. I try to share what I learn because hopefully you can learn from my MANY mistakes. Most of my city home furniture is unpainted. 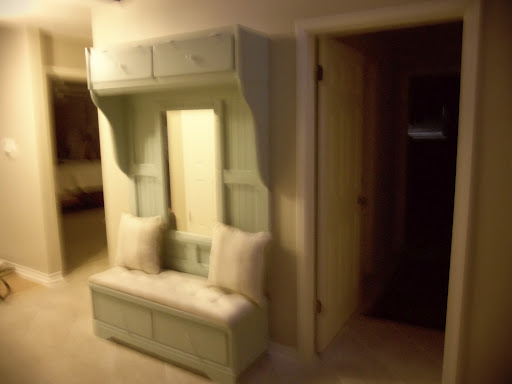 Hubby has built some great pieces over the years that I could never consider painting. I have some true antique pieces that deserve to be preserved. C) Was free, cheap, or found. 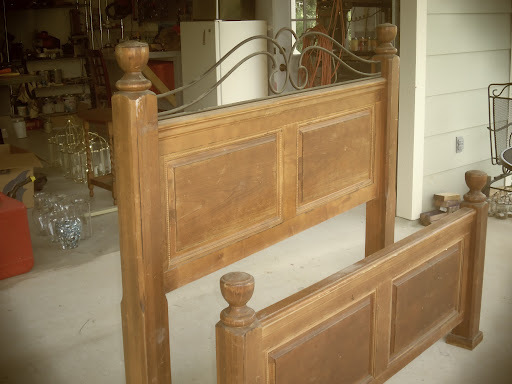 (My $25.00 solid wood bed above.) 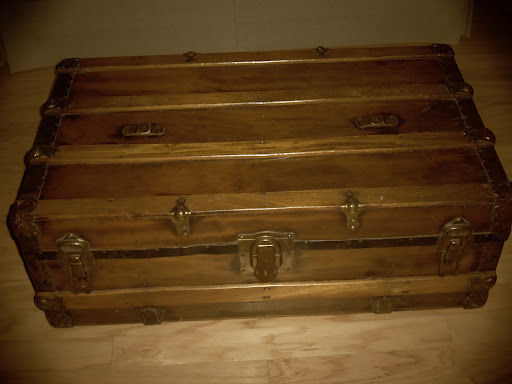 I also have a wooden chest I recently bought for $5.00 that holds the birdseed on the front porch at Star Hill. I saved it from being Pepto Bismol pink. It was awful. Now it is the red of our doors at the lake house. A lot of that ABC furniture has landed at Star Hill. 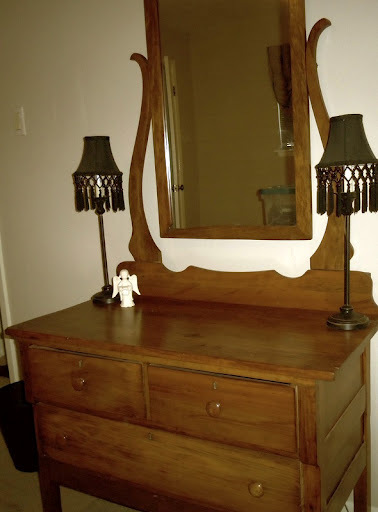 I also have some found furniture like the cast iron typing table that we found in our garage when we moved into the city house, garage sale like our entertainment center and bunk beds. 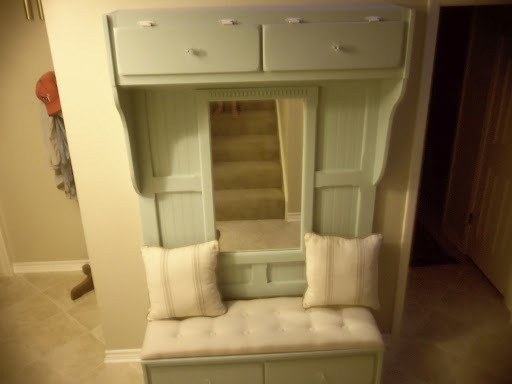 Some of the things we have were”gifted” furniture. I have my great grandmother’s porch chair, my son’s bedside table, and my neighbor’s bedroom furniture. I love the homey comfortable look that we have up in the country. Up there I don’t stress about coasters, feet up on tables or eating on the furniture. It sometimes pains me to cut up good pieces, even when they meet the ABC rules. 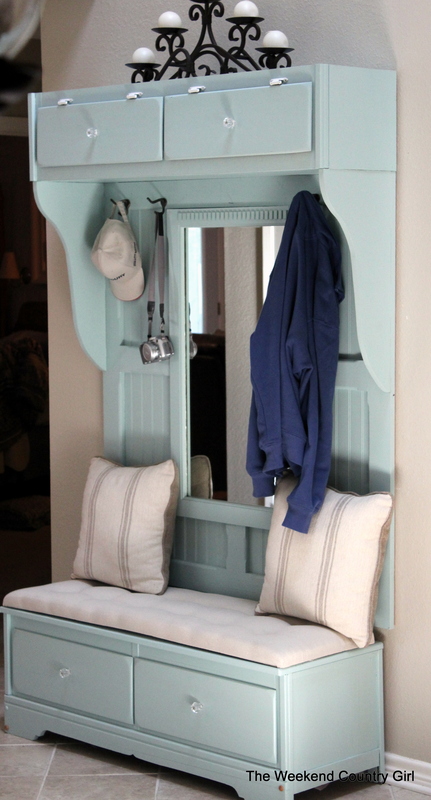 I am still hurting over the maple framed mirror that has become part of the mudroom bench. I have saved all the cut off parts and plan on making a shelf with the parts. I bothered me to use solid oak on the mudroom bench even though it was totally free. I love having a place where those pieces of furniture that would have ended up in a dump are now a part of our weekend adventures. I plan on getting pictures of each room at Star Hill this weekend so that you can see how far $1000.00 can go if you are patient. I hope everyone has a great day and an even better weekend.